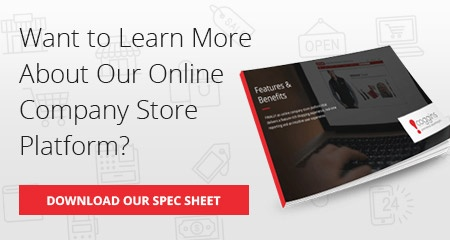 If your organization has multiple locations and individuals who need to source merchandise, this can often lead to brand abuse without a streamlined online company store. If your company is utilizing numerous vendors and different logo files with no formal approval process for the item or artwork, most likely the brand, which you have so much invested in, is being abused. An online company store allows you to centralize the item approval process, while providing easy access to approved items throughout your organization. If you are ready to reign in procurement throughout your organization, contact us to learn how an online company store can help solve these challenges. Will you add items to the online store without notification? No, we will never add an item to your store that is not first approved. Does corporate approve all items and artwork? Yes, you will approve all items, styles, artwork color options and any other details pertaining to each item on your store. Brand abuse with branded merchandise can occur when departments and locations place orders for unapproved items with unapproved vendors. By consolidating the options available to your company store and approved vendor, you can virtually eliminate all brand abuse.